Asked a coworker who lives midtown for his top restaurant recommendations in his neighborhood and he suggested Bocca di Bacco. Tonight we found ourselves in a state of desperation after attempting to go to several restaurants in our area which were closed for New Year's, so we hopped on the subway uptown. We were starving at this point, so barely glanced at the menu before ordering Bruschetta because we didn't see bread baskets on adjacent tables and weren't willing to take the risk that there might not be anything to eat before our entrees arrived. In short order a basket of bread and a side of chopped tomato & oil topping arrived and we went to town. 'This is good' I said, 'but it doesn't really seem worth the $9, this should come free'. 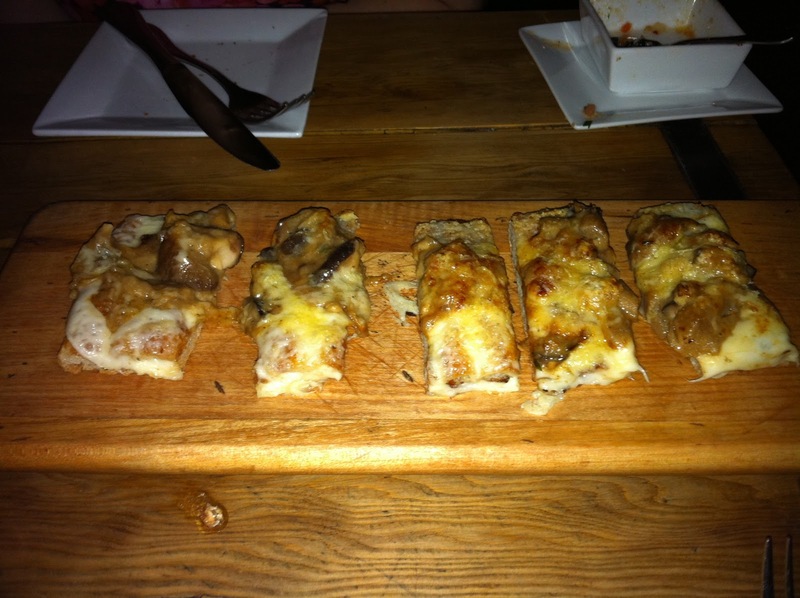 No sooner had I said that then a board appeared with a flatbread-like item with cheese and mushrooms on it. I then realized that what we were eating was the complimentary bread and here was our appetizer. Ok, +1 for Bocca di Bacco. 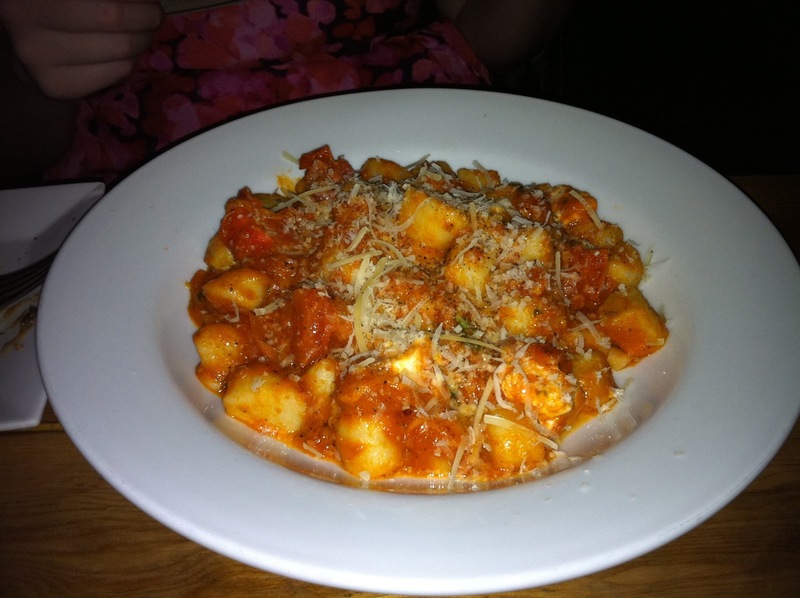 I ordered the Gnocchi and The Mr got the pork chop. The gnocchi and tomato sauce and mozzarella all tasted wonderfully fresh and was delicious, but we were both blown away by the pork chop. Normally I'm not all that interested in meat and just take one bite of The Mr's dish to try it. 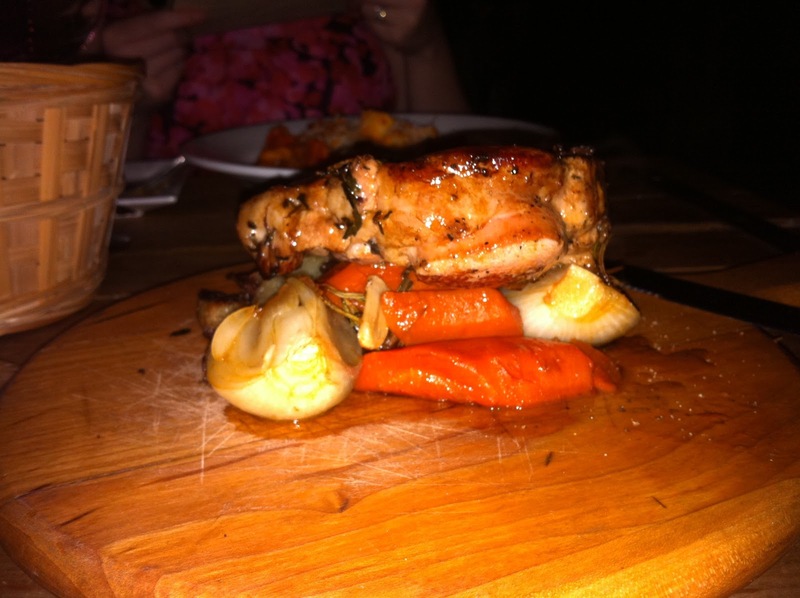 But I found myself coming back again and again for that tender, juicy pork chop. We both agreed that this is one of the best prepared pork chops we have ever had. 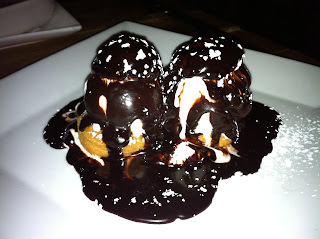 We were so impressed by the whole experience thus far that we ordered desserts because we didn't want it to end. We couldn't decide between the Saffron Creme Brulee and the Profiteroles so got both. 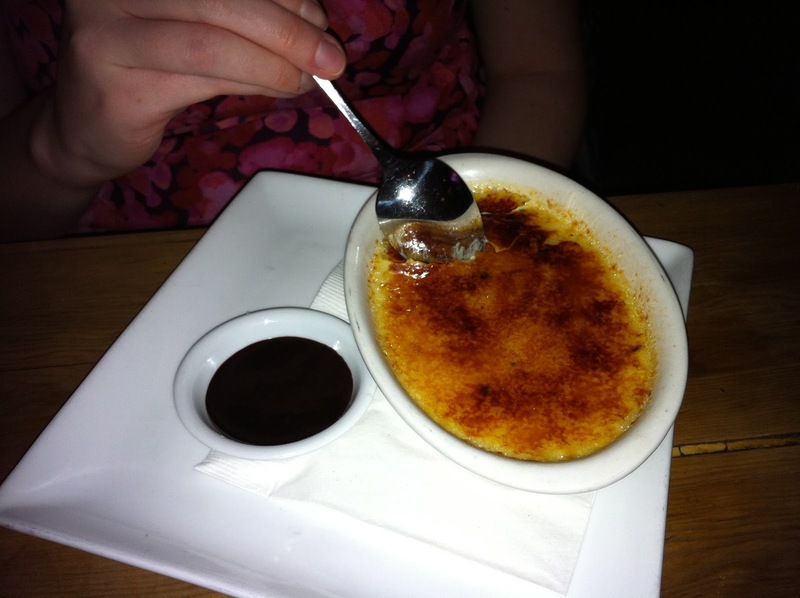 My only critique here is that I was confused as to why they would serve chocolate sauce with the creme brulee since it completely overpowered the dish. But then The Mr observed that this made the dish versatile for people who wanted to share and perhaps one of the group was a chocolate lover. Ok Bocca di Bacco, another +1. It's amazing to me that this place advertises itself as predominantly a wine bar when this is some of the best Italian we've eaten in the city so far!